The San Francisco 49ers have yet again waived linebacker Hannibal Navies and signed fullback Zak Keasey from their practice squad for the third consecutive Saturday. Navies has been waived by the 49ers before each of their last 3 games; he started 2 games earlier this season, but has been limited recently by a knee injury. Keasey has been on the practice squad for most of the past 2 seasons, but the 49ers have signed him to the active roster for 3 consecutive weeks to help out on special teams because safety Keith Lewis is currently sidelined with a hamstring injury. 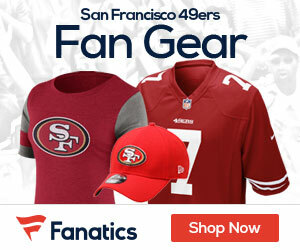 Be the first to comment on "49ers waive Navies, sign FB Keasey"